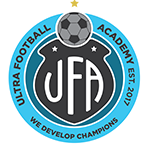 UFA » Register now – UFA academy day out ! Join us for fun day out at Sydney FC this summer. We are going to attend Sydney FC game on January 19 VS Newcastle Jets. Please register your interest directly with UFA academy. NOTE: This is closed event (UFA players only).